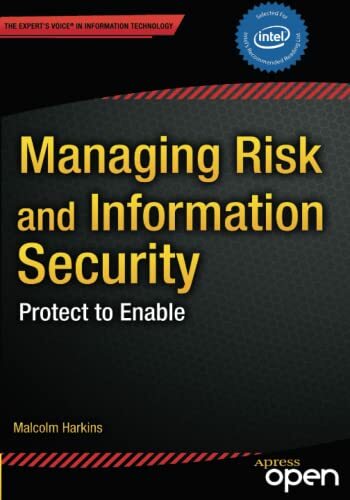 [PDF] Managing Risk and Information Security: Protect to Enable (Expert's Voice in Information Technology) | Free eBooks Download - EBOOKEE! Description: Managing Risk and Information Security: Protect to Enable, an ApressOpen title, describes the changing risk environment and why a fresh approach to information security is needed. Because almost every aspect of an enterprise is now dependent on technology, the focus of IT security must shift from locking down assets to enabling the business while managing and surviving risk. This compact book discusses business risk from a broader perspective, including privacy and regulatory considerations. It describes the increasing number of threats and vulnerabilities, but also offers strategies for developing solutions. These include discussions of how enterprises can take advantage of new and emerging technologiesâ€”such as social media and the huge proliferation of Internet-enabled devicesâ€”while minimizing risk. No comments for "[PDF] Managing Risk and Information Security: Protect to Enable (Expert's Voice in Information Technology)".